Results of latest studies and consideration of the Vietnamese’s formation in the formation of other nations in the region indicate that the origin of Vietnam people is ancient Malays strain. In the period of mid-Stone Age (about 10,000 years ago), a part of Great Asian strain living in Tibetan areas migrated to the southeast to the region nowadays called Indochina. Here, part of the Great Asian strain in the combination with part of the Great Australian strain results the presence of the ancient Malays strain. Then the ancient Malays strain from Indochina gradually had spread Yangtze River to the north, India to the west, islands of Indonesia to the south, and Philippines to the east. 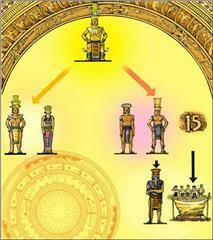 At the end of the Neolithic, early Bronze Age (about 5,000 years ago), the ancient Malays strain had an frequent exposure with the Great Asian strain from the north in the region nowadays called the North of Vietnam and the south of China (from Yangtze River coming down), leading the formation of a new strain, South Asia. After that period, the South Asian strain was divided into a series of people that Vietnamese and Chinese writings called Bach Viet. 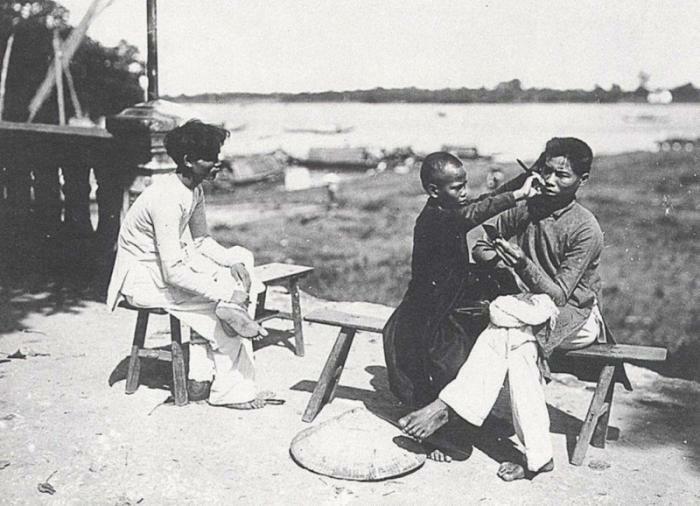 Initially, they communicated each other with some their own languages, such as Mon - Khmer, Viet - Muong, Tay - Thai, Meo - Dao...Time after time, this splitting process continued to form ethnic groups and languages seen today. Meanwhile, the South of Vietnam, along the Truong Son mountain range was still the residence of the ancient Malays strain. Over the time they gradually changed to Austronesian strain. 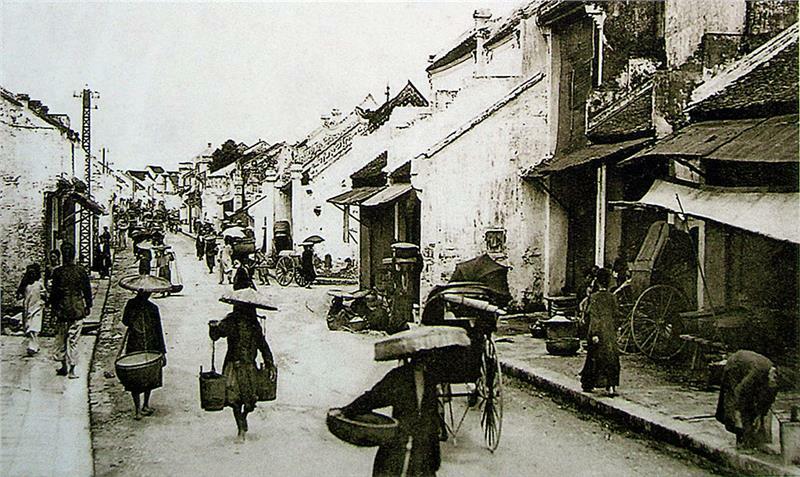 It can be said that they are ancestors of the Vietnamese people today. 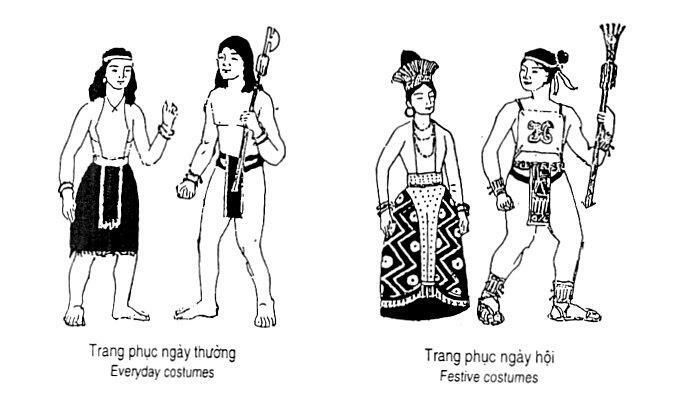 54 ethnic groups living in Vietnam could be divided into 8 groups according to language as follows: Viet – Muong Group with 4 ethnicities, Tay – Thai Group with 8 ethnicities, Mon - Khmer Group with 21 ethnicities, Mong – Dao Group with 3 ethnicities, Kadai Group with 4 ethnicities, Austronesian Group with 5 ethnicities, Han Group with 3 ethnicities, and Tibetan Group with 6 ethnicities. 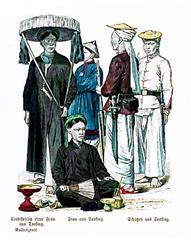 The Vietnamese or Kinh ethnic group was formed in a geographic region that is now northern Vietnam and southern China. This is the main ethnic group in the country, accounting for 86.2% of Vietnamese population and officially known as Kinh people to distinguish from the other ethnic minorities in Vietnam. Kinh people allocate along whole Vietnam and some other countries, yet majority is in deltas and urban areas in the country. 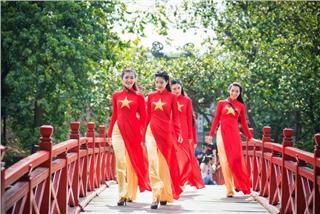 The main language using in Vietnam belongs to Viet - Muong language group. 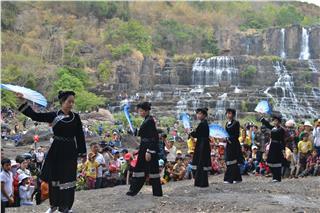 Among Vietnam ethnic community, Kinh ethnic group keep an important role in the national development. Accounting for 86.2% of Vietnam population with unique characteristics, the Kinh are worth to represent whole Vietnam country. 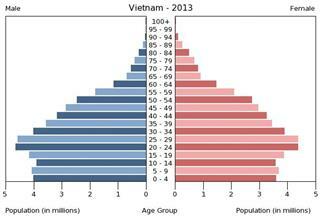 Vietnam is one of the most populous countries in the world, ranking fifth in world population density. Vietnam population is divided unevenly between urban and rural areas, and between regions such as deltas and mountainous areas. 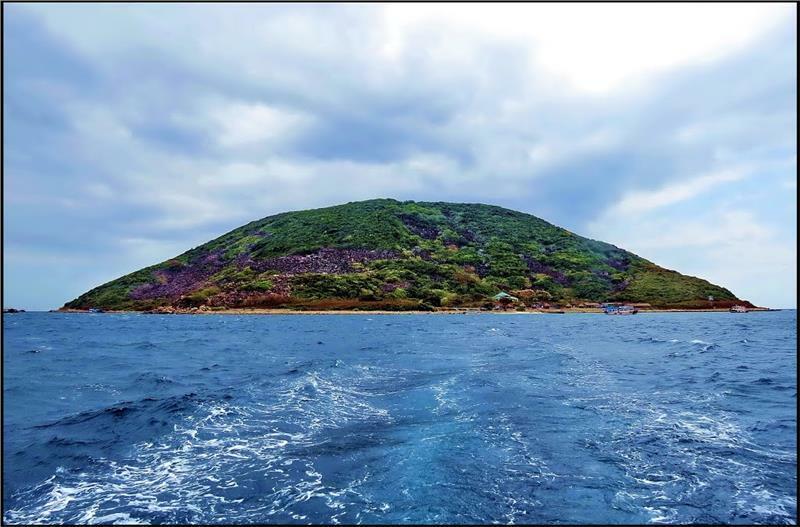 According to legend of Vietnamese people, the ancestor of the Vietnamese was Kinh Duong Vuong, whose tomb nowadays still retains in An Lu village, Thuan Thanh, Bac Ninh. Living together in “S” shaped land strip, Vietnam ethnic groups retain traditions of patriotism and coordination in conquering the nature and society, throughout the history of country foundation, building and development. Vietnamese people are composed of 54 different ethnic groups coexisting peacefully, in which the Kinh people account for 86% of the population and 53 other ethnic groups represent over 10%.